WCYB News 5 has teamed up with Dollywood to brings you the WCYB Dollywood Contest where they will be giving you an opportunity to win Two (2) day passes to Dollywood theme park, four (4) tickets to Splash Country and four Christmas Celebration Dinner Show Tickets. Prizes: One lucky prize winner will receive daily two (2) day passes to Dollywood theme park valued at $139.90 ($69.95 per ticket), four (4) tickets to Splash Country valued at $199.80 ($49.95 per ticket), and two nights’ hotel accommodations (one room, up to quad occupancy) at Dollywood Smoky Mountain Cabin ($398). One grand pirize winner will receive extra Dollywood tickets and four Christmas Celebration Dinner Show Tickets! Who Can Enter: The contest is open only to those people who reside in Contest Area which are following: Tennessee: Hawkins, Greene, Carter, Washington, Sullivan, Johnson, Unicoi, Virginia: Lee, Scott, Wise, Dickenson, Russell, Washington, Smyth, Buchanan and who have 18 years old or older at the time of entry. 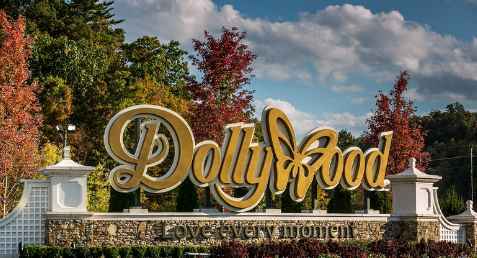 When To Enter: The Wcyb Drive Into Dollywood Contest entry begins on October 29, 2018 and ends on November 22, 2018. Who’s Sponsor: The WCYB Contest is sponsored by Herschend Family Entertainment Corporation dba Dollywood.